Dora Saria Holds Master of Business Administration from University of Dar es Salaam and Bachelor Science in land Management and Valuation from University College of Lands and Architectural Studies. She has attained various training both locally and internationally. Dora Saria is a seasoned and experienced Banker with 12 years of involvement in banking sector. 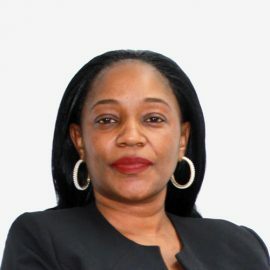 Her carrier journey started at NMB bank during its transformation where she managed to sharpen her knowledge and skills through engagement in various areas such as business development, products development and research, retail banking and marketing. She joined ACB since 2009 and through her commendable job she has succeeded to grow up the corporate ladder to Senior Management level where she is currently serving as a Head of Marketing and Communications.